Will Brexit affect river cruising? 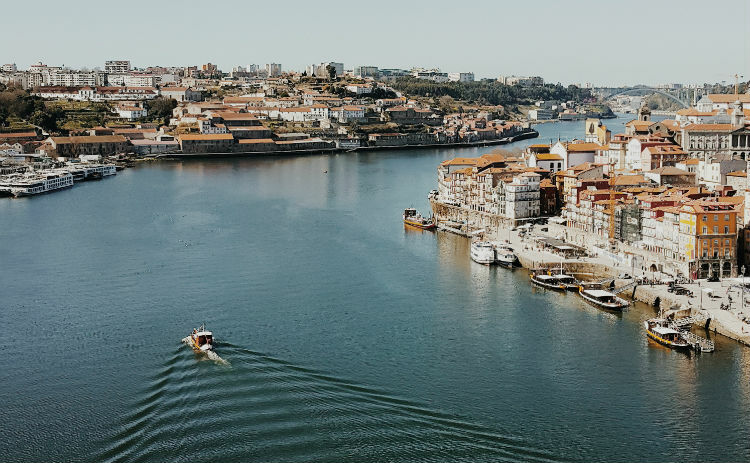 With Brexit affecting how we travel between countries, many river cruisers may be thinking what the outcome will be for their future sailings. 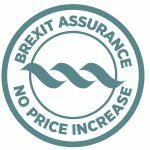 Booking a river cruise with RiverVoyages.co.uk is both ATOL and ABTA protected, ensuring you are covered in any eventuality of Brexit’s outcome. See our frequently asked questions below and find out what some cruise lines have spoken out about on their stances on Brexit. Click the questions below to reveal the answers. Will I need to worry about currency during my river cruise? A river cruise is one of the best ways to travel when considering currency as it’s the least affected by fluctuations. Most of the time you can pre-pay for your drinks, gratuities and excursions to protect against any negative impacts of the exchange rate. Can I still book a river cruise within the EU? The Association of British Travel Agents (ABTA) have advised that, regardless of outcome, there is no reason to be concerned when booking a holiday. You can still book a river cruise prior to the UK leaving the EU, as nothing will change. Following this event, and in the event of a no-deal Brexit, there will be specific implications in terms of additional documents you may need, which are highlighted below. Will I need any more documents to travel within the EU? ABTA has advised, “the European Commission announced in November 2018 that, even in a no-deal scenario, UK travellers can still visit the EU without a visa, providing the same if offered to European citizens visiting the UK. This means that UK travellers can travel to the EU without a visa for up to 90 days within an 180-day period. This is for short-stays and is dependent on the UK continuing to offer reciprocal visa-free access to EU states. This new regime will be the European Travel Information and Authorisation System (ETIAS), which will launch in 2021 following a no-deal Brexit. This requires that every prospective visitor to the EU registers their details online and pays a fee (around £6.30, though under-12s can be registered free). This information will be compared against the relevant databases and a decision is then made on whether or not to grant the ETIAS. These are then valid for three years, or until your passport runs out. The ETIAS only applies to third-country, visa-exempt travellers, which the UK will be following in the event of leaving the EU. In the event of a no-deal Brexit, those planning to travel abroad will be required to have six months left on their passport. It’s worth checking your passport to ensure you have at least six months left on your passport from the date of arrival. This applies to both adult and child passports. In the event you need to renew your passport, up to nine extra months may be added to your passport’s expiry date. These new rules apply to passports issued by the UK, Gibraltar, Guernsey, the Isle of Man and Jersey. In light of this, the government have advised customers to visit the HM Passport Office online passport checker here: Check a passport for travel to Europe. “1. You should have 6 months left on your UK passport from your date of arrival. This applies to adult and child passports. 2. If you renewed a passport before it expired, extra months may have been added to your new passport’s expiry date. Any extra months on your passport over 10 years may not count towards the 6 months that should be remaining for travel to most countries in Europe. The new rules will apply to passports issued by the UK, Gibraltar, Guernsey, the Isle of Man and Jersey. Will I need to pay any more for my river cruise after the UK leaves the EU? Many cruise lines have advised that prices of river cruises won’t change following Brexit, and that you’ll pay nothing more for your holiday other than the total prices advertised. Some cruise lines also include an all-inclusive promise, which guarantees no nasty surprises after the UK leaves the EU. Will Brexit affect flights to and from my destination? Following a no-deal Brexit, airlines within the UK and EU will need to seek advance permissions from respective states. The government has advised the UK would envisage granting permission to EU airlines to continue operating, and that it would not in the interest of any EU country or the UK to restrict the choice of destinations which could be served. Will the EHIC still be valid? The European Health Insurance Card (EHIC) allows any EU citizen to access medical care when travelling within another EU country. In the event of a no-deal Brexit, EHIC’s registered within the UK will no longer be valid. It will also be necessary to check your travel insurance for river cruising and contact the provider for details on whether you will be covered in all eventualities of Brexit. Can I still use my phone in the EU? Currently, tourists within the EU aren’t charged for extra roaming and can use their phones as they would in the UK. However, with a no-deal Brexit, this may change. In response to this, the government has advised that it would put measures in place for a cap on the cost of mobile data usage at around £45 per month – it’s currently €50 under EU law. What do the river cruise lines have to say about Brexit? 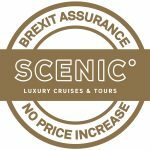 The Scenic Group, including Scenic and Emerald Waterways have stated the below for their Brexit Travel Assurance. The all-inclusive promise has been offered through Scenic for over three decades, and Brexit will not change this. 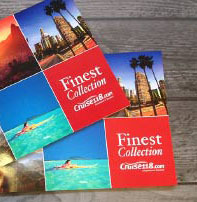 The cruise line will continue to give an unprecedented level of luxury, comfort and inclusions on Europe’s waterways. This promise means that you don’t need to worry about price rises after 29 March 2019 and beyond, with everything from your flights and transfers to dining, beverages and excursions all included. “At Avalon, our first concern is the welfare and safety of our guests. You can rest assured that we will continue to take care of the important details around your holiday booking, right through to getting you home again, safe and sound, after your incredible trip. If you have any concerns about river cruising and how Brexit could affect it, please call our Cruise Concierge team on 0800 197 0854 for expert advice and award-winning customer service with your booking. River cruise dress codes: What to pack?